Remember when I posted the Vintage Spring Skirt a month ago? I told y’all I’d show you how I did the waistband. It’s so simple. First, cut a “facing”. 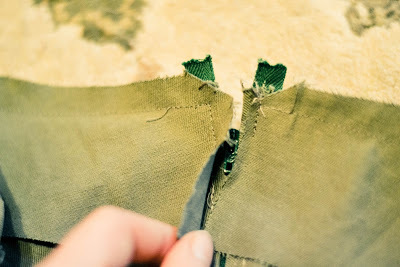 All you do is use the top 3″ or so of the pattern to make an exact duplicate of the top of your skirt. Sew two of the short sides together, just like you did the skirt (same seam allowance). 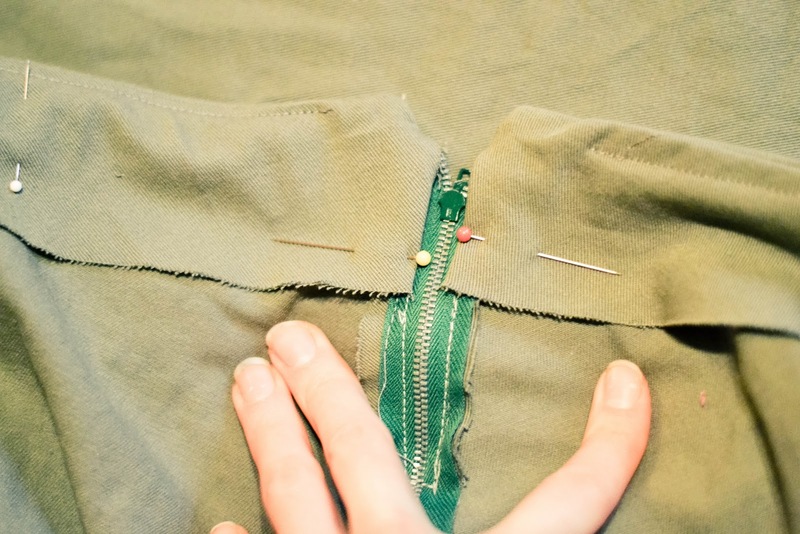 Don’t do the other short sides because the zipper’s in the way. 🙂 If your fabric frays easily, finish the bottom edge. 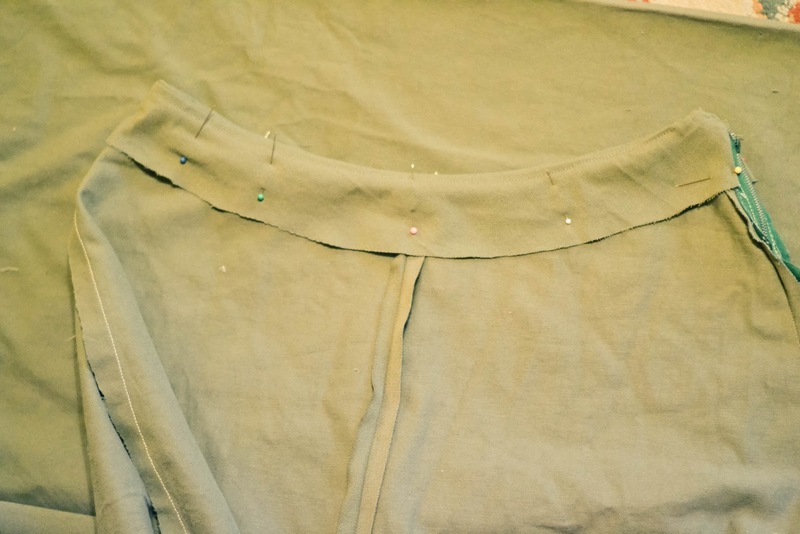 Pin this facing on the top of the skirt, right-sides together. Like so. Now stitch from zipper to zipper around the skirt, at about 1/2″ SA. 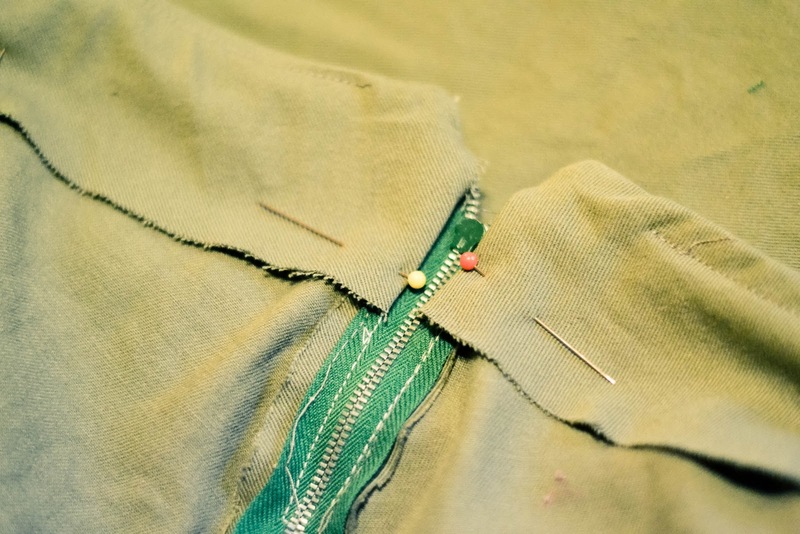 Around the zipper area, stitch down about 1/2″ by the zipper to make a neat stitched corner. 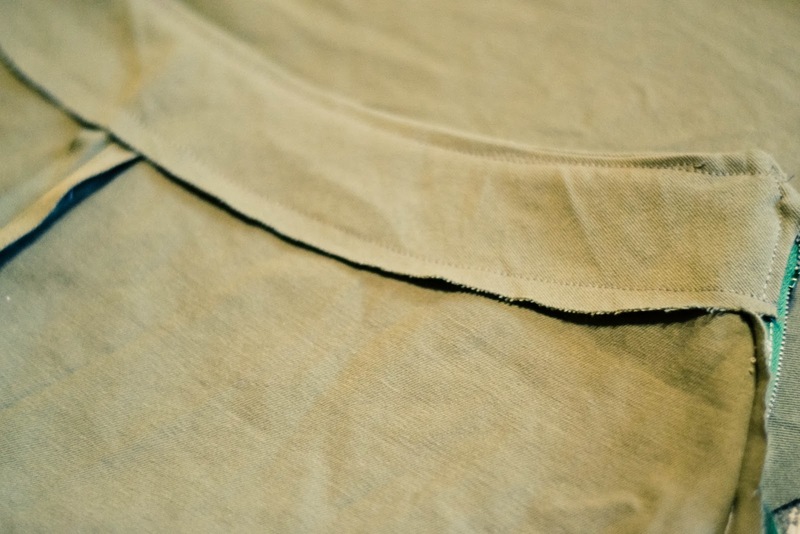 Trip the corners like above as close as you can to eliminate extra bulk. At this point the facing is laying on the outside of the skirt. 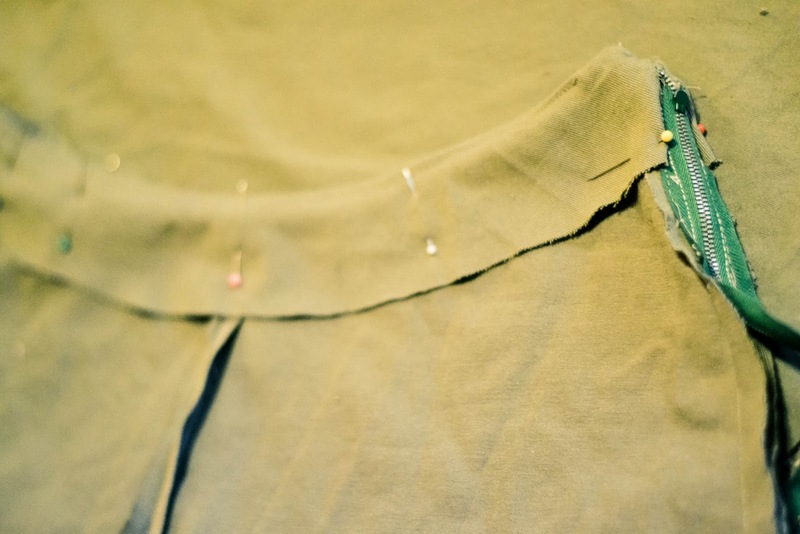 Now, neatly turn the facing to the inside of the skirt, making sure to poke out the corner you just sewed near the zipper. 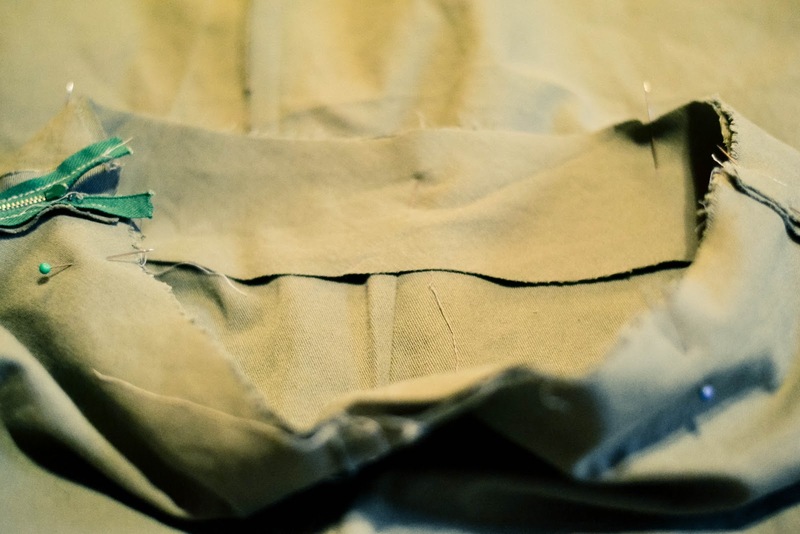 Iron the facing so it lays on the inside of the skirt. Now you’re going to stitch the facing to the seam allowance.You’ll have to start a little away from the zipper since its hard to get your machine foot in there, but that’s okay. You’re just trying to get a crisp edge. So, stitch the SA to the facing. That’s called under-stitching. You can kind of see it in pictures below. Then, pin the facing to the inside of the skirt and make sure it’ll lay nice and flat. If not, make adjustments. Around the zipper, fold the extra facing fabric under so it won’t interfere with the zipper and will have a clean edge. Pin. Here it is all stitched down! 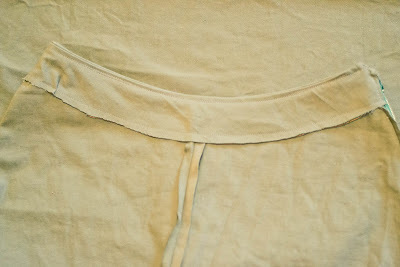 You can see on the right side of the picture that I just stitched the facing down beside the zipper, too. And, yes, the facing was slightly too big. This could have been caused by grain, cutting, anything. But, it’s seriously no big deal because you’ll never be able to see it. Make sure that if something like this happens, you “correct” on the facing and not on the outside of the skirt! That’s it! Wasn’t that easy? 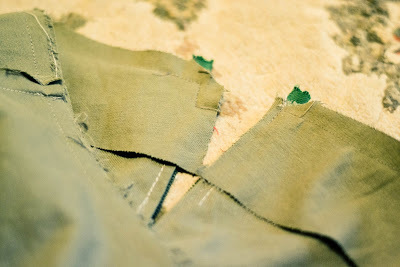 This works awesomely with all different types of fabrics. First, find a pattern you like. I just found some simple leaf coloring pages online and blew them up to about 3″ long on my copier. Cut them roughly out and cut fabric scraps a little bigger than the leaves. Pin them where you’d like on the *inside* of the skirt, with the right side of the fabric against the wrong side of the skirt and the paper design on top. 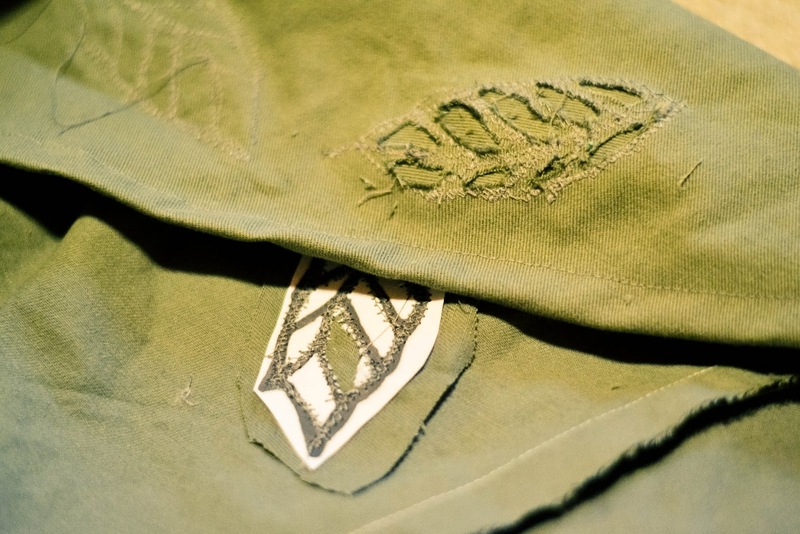 To do the applique, I used a freehand foot that came with my machine. It’s unique in that the presser foot is only on the fabric while the needle is down, but then when the needle lifts up, so does the presser foot! I used a smallish, close zigzag setting. 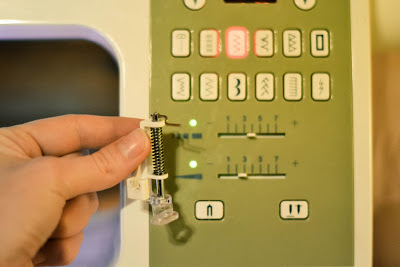 You could do this with a regular foot, it would just take a lot more time because of having to sink the needle and lift the presser foot all the time. Now we get to cut out the the front of your skirt! Snip just the one layer of fabric- not the applique scrap you stitched to the back. 🙂 Carefully cut between the stitches using tiny, sharp scissors. Final step is to just tear off the paper and trim the extra fabric from the back! 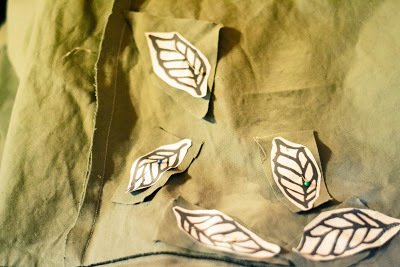 I didn’t worry about tearing off the paper between the veins of the leaves- that took wayyy too much time. After a few washings the paper’s all gone! 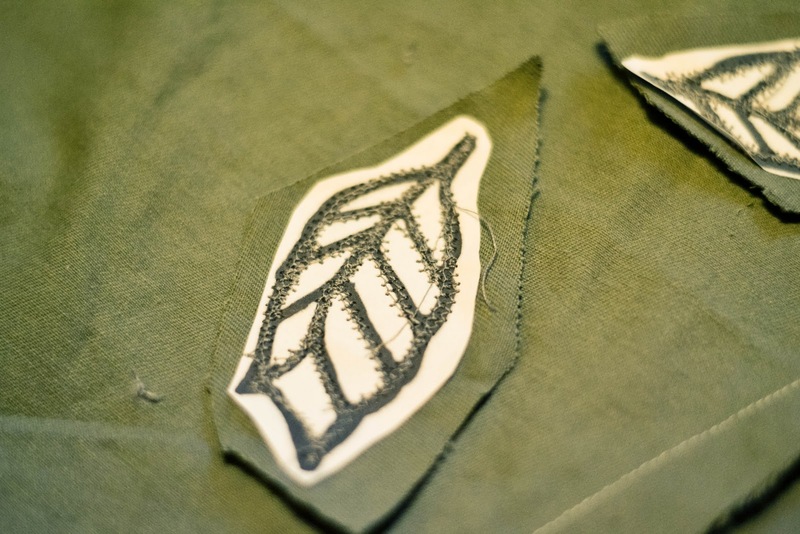 I’ve been itching to do some more reverse applique… such an easy thing for such a great effect! 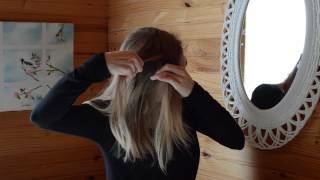 Hope that helped- feel free to ask me questions! Olivia, If you did the waistband part for me thanks!! I am glad you did post this after all, and that you remembered to. It looks like its a snap. I had no idea how clever and easy that applique is. Wish my machine had that nifty foot. Will have to try something like this sometime. 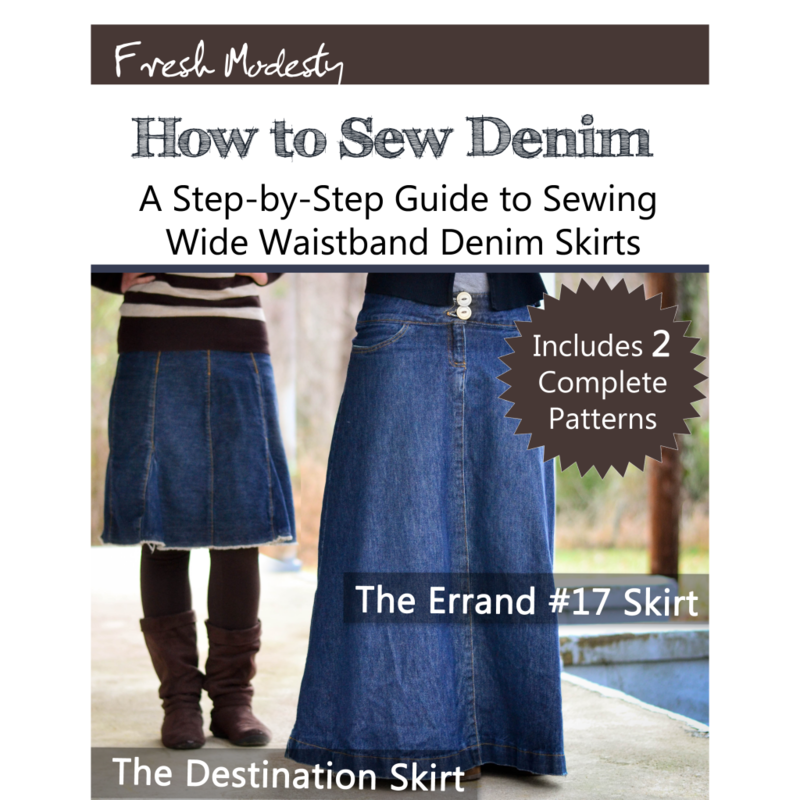 Love that skirt btw, and yes I am quite curious what you are concocting with your jean skirt waistband, another ebook??? 🙂 Is that skirt above your classic 3134 or whatever? I was just thinking myself on how I could put a band onto this over alls skirt pattern I have and turn it into a cute jean skirt, much like what you've got going on there. I love the drape. Wow, you have great talent!!!! 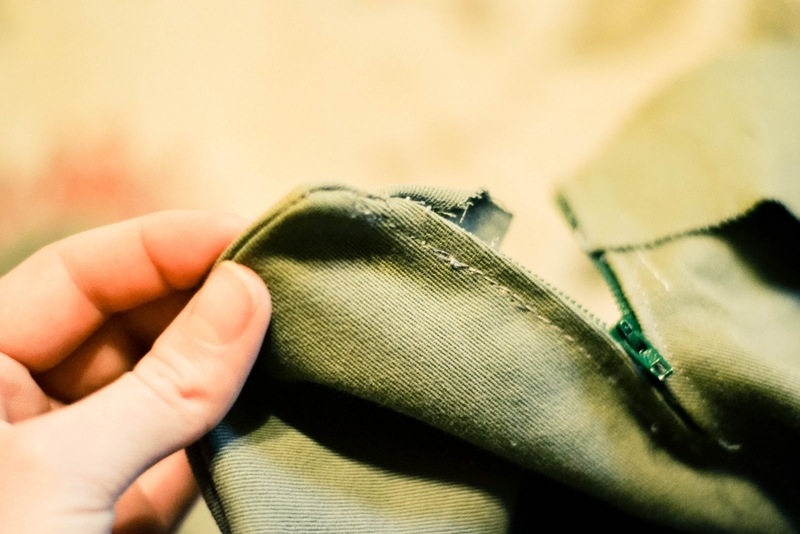 You've probably been asked this a lot, but how did you learn to sew? I love crafts!! 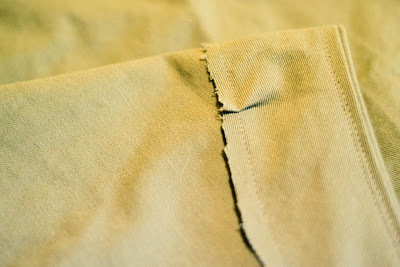 I used to sew, but never got very advanced in it.